Photo courtesy of Don Borin/Stop Action Photography Mercer Island senior forward Giovanni Cervantes-Rocha, center, secures a rebound against the Bellevue Wolverines on Jan. 3. Bellevue defeated Mercer Island 61-57 in a matchup between rivals. The Mercer Island boys basketball team played valiantly but couldn’t complete their comeback bid in the fourth quarter against the Bellevue Wolverines. Mercer Island, who trailed Bellevue 48-41 after three quarters, outscored their biggest rival 16-13 in the final eight minutes of play. With 41.4 seconds left in regulation, Mercer Island forward Giovanni Cervantes-Rocha recorded a basket, cutting Bellevue’s lead to 58-57. Unfortunately for the Islanders, Bellevue guard Jalen Love swished a three-point attempt with just 5.6 seconds left in regulation, extending Bellevue’s lead to 61-57. Neither team would score in the final 5.6 seconds as Bellevue held on for a 61-57 triumph on Jan. 3 at Bellevue High School. Bellevue improved their overall record to 8-3 with the victory while Mercer Island dropped to 4-7 overall. 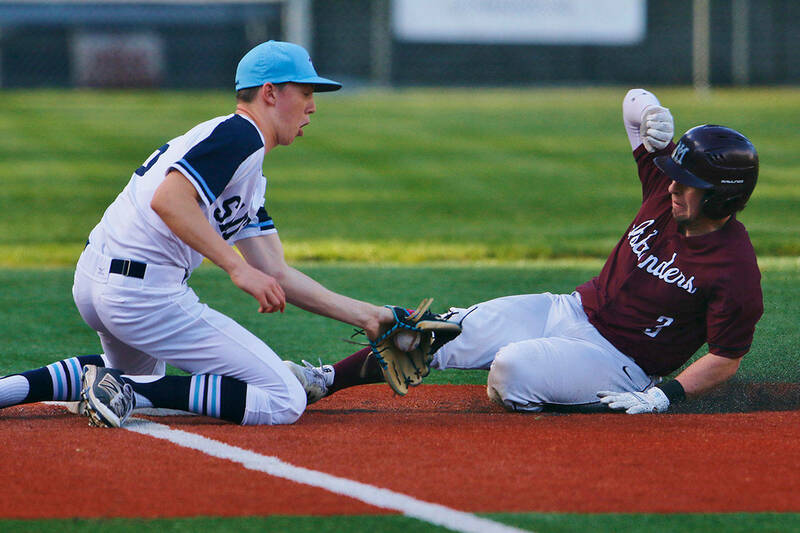 Mercer Island head coach Gavin Cree was proud of his team’s performance in defeat. Islanders’ senior Griffin Emanuels, junior guard William Lee and senior forward Rainer McDonald consistently made timely baskets against the Wolverines formidable defense. The Islanders led by six points (36-30) early in the third quarter but Bellevue went on a 18-5 run to take a commanding seven-point lead with just eight minutes left in the game. Mercer Island has battled the injury bug during the 2017-18 season. Mercer Island senior guard Ethan Eason suffered a season-ending injury earlier this year and starter Joe Gormley is currently week-to-week with an injury as well.